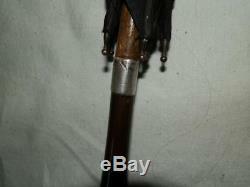 Antique 1911 Jonathan Howell Silver Collar/End Partridge Wood Handle Umbrella. 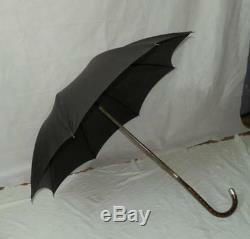 This vintage 1911 umbrella is in full working order and ready to use! 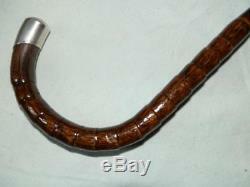 Made by Jonathan Howell, this umbrella has a silver collar and hallmarked silver end, which finish off the partridge wood handle beautifully. 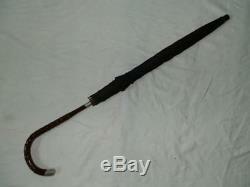 The hallmarks read:'1911 BIRMINGHAM' With black nylon canopy (which does not have any holes) made by Gauntlet British Made, wooden shaft, patridge wood handle and silver collar and end, this is a very classy piece - it would serve both as a fuctional umbrella or due to it's history a lovely collector's piece! 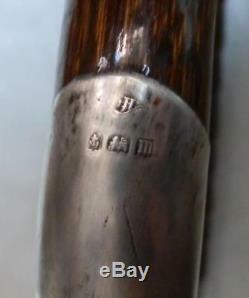 This item is in good working condition, and although it is showing it's age with wear marks to the shaft, handle and end this only shows what a history it has! 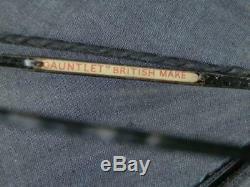 Please see photographs for full condition, but know this piece is fully functional! 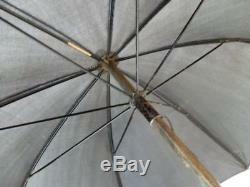 Measures at - Height - 75cm Umbrella diameter - 83.5cm Handle width - 13cm. Auctiva offers Free Image Hosting and Editing. 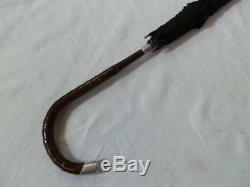 The item "Antique 1911 Jonathan Howell Silver Collar/End Partridge Wood Handle Umbrella" is in sale since Saturday, June 16, 2018. This item is in the category "Clothes, Shoes & Accessories\Vintage Clothing & Accessories\Vintage Accessories\Umbrellas & Parasols".thefisherman" and is located in Pontyclun.